Office Equipment is TAX DEDUCTIBLE! Home > News & Events > Office Equipment is TAX DEDUCTIBLE! 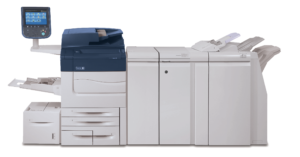 Did you know that the Section 179 Deduction allows you to write off up to $510,000 in office equipment purchases? In order to take this deduction for the 2017 tax year, the equipment must be financed or purchased and put into service between January 1, 2017 and the end of the day December 31, 2017. SBM Can Show You How! We can help you step by step along the way to take advantage of this tax deduction before it’s too late. Click below to schedule a free consultation with one of our sales representatives, who will review your current pricing and provide a more cost effective solution. © 2017 Seacoast Business Machines, Inc.